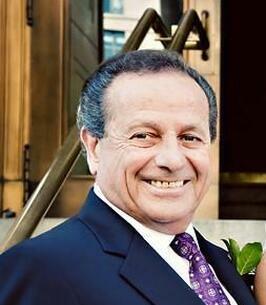 "our sincere condolences to sonia and the entire alberti family. gary was a loving and caring husband and family member .He is now..."
Gary Thomas Ferruggia died Sunday, November 4, 2018 in Summit, NJ. Gary was born in Newark, NJ to the late Peggy (Smith) and Nicholas Ferugia. He was a graduate of Seton Hall Preparatory School and Fairfield University and attended classes at Seton Hall Law School, where he met his first wife Catherine (Donnelly) Ferruggia. Gary served in the National Guard during the Newark and Plainfield riots. As a lifelong entrepreneur, he owned businesses in the clothing, construction, produce and restaurant industries. Most recently, Gary and his wife Sonia were the proprietors of Café Agira in Warren, NJ. An avid sports fan, Gary was an award-winning coach of Pop Warner youth football, loved playing golf and was a 40-year member at Twin Brooks Country Club in Watchung, NJ. He, with his son David, won the Metropolitan Golf Association Father Son Championship in 2008. He enjoyed hunting and sea and fly fishing throughout North America. He was an enthusiastic NY Giants football fan. He was honorary Chief of Police of Fanwood, and served as president for the NJ Restaurant Association. Gary was pre-deceased by his first wife Catherine (Donnelly) Ferruggia, his granddaughter Catherine C. Christie, and his sister Peggyann F. Tuma. He is survived by his wife Sonia and their dog Bianco, his children Robin and her fiancé David, Gary Thomas, Donna and her husband Mathew and their three children, David and his wife Kathy and their four children, and Tracy and her husband Ryan and their two children. Visitation will be Sunday, November 11 from 2-4pm and 7-9pm at Valley Memorial Funeral Home in Gillette, NJ. A Mass of Christian burial will be held on Monday, November 12 at 10:30am at St. Mary’s Abbey Church at Delbarton in Morristown, NJ. Interment will follow at St. Mary's Stony Hill Cemetery in Watchung, NJ. Memorial Contributions may be made to rettsyndrome.org. For more information and online condolences, please visit www.valleymemorialfuneralhome.net. To send flowers to the family of Gary Thomas Ferruggia, please visit our Heartfelt Sympathies Store. Just saw news of Gary's passing in the Ffld U magazine. He was a terrific guy and I was proud to be one of his classmates in our fabulous class of 1962. Please accept my sincere condolences. Sonia, So sorry to hear of Gary's passing. Stay strong and know that prayers are with you. Please reach out if I can be a shoulder to lean on for you. Donna and Family - We're terribly sorry to hear about your Dad. Please know our thoughts are with you. We wish you peace and love during this difficult time. Gary will forever be in our hearts. Sincere condolences to the Ferruggia family loved ones. Our deepest condolences to Sonia and the Ferruggia family. He will be greatly missed and it was a pleasure to have know him. RIP Gary.